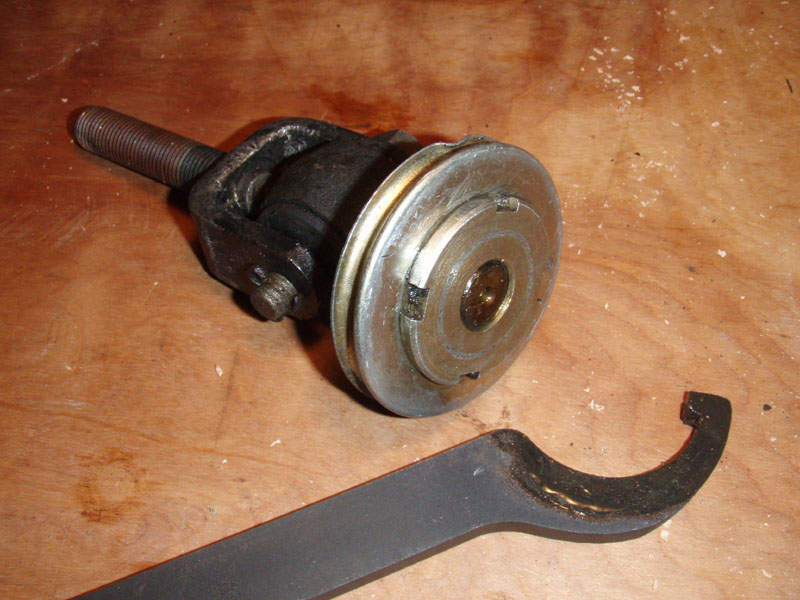 After I removed the tierod end I found the bellows holder is threaded and acts as a lock nut on the tierod. Its made of aluminum so it isn't the first thing you want to try turning to remove the tierod. I used a long screwdriver, vicegrip pliers, and a wrench to turn the fork. Eventually the bellows holder came free, without having to use the hooked wrench. Last edited by zen-in; 03-06-2007 at 09:06 PM..